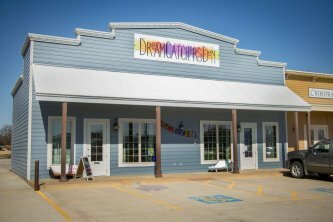 The DreamCatcher's Den is a space to be shared by the Wichita community. Our mission is to collaborate with local healers, artists & fellow dreamers who want to make this world a happier and healthier place. We open our doors for classes and workshops that help facilitate hope and healing. We specialize in acupuncture/guided meditation healing sessions, private empowerment workshop, healing group activities, and special celebrations such as birthdays, showers, weddings, graduations and more! All thrown with our own extra special twist! We carry an apothecary line and locally made goodies for the mind, body, and soul! Our DreamTeam Works diligently together to create a safe and sacred healing space that is open to all. We want to connect the people of our great city and share in laughter, tears, conquer fears and chase down dreams.